If Key West is your vacation destination, there is one spot you must not forget. 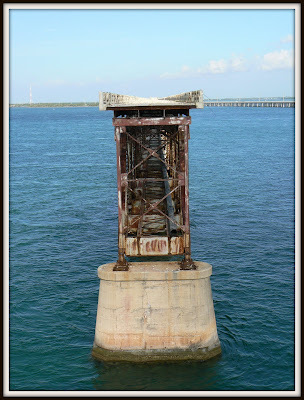 When driving along US 1 with Key West in mind, you will come across a little island at MM37 called Bahia Honda Key. While this key might seem like any other of the islands along the Overseas Highway this key is home to my favorite beach, one of the best Florida Beaches, and it has in fact been named as both one of the best beaches in Florida and in the world. Bahia Honda State Park is a treasure with beautiful beaches, walking paths, incredible animal life, and if you are into Camping make sure to make reservations well ahead of time, as this campground is very popular. We usually leave the mainland early to be able to eat our lunch at Calusa beach. When we leave Key West to return home we leave early again to make it to Bahia Honda State Park just in time for opening. There are three main beaches at Bahia Honda State Park. 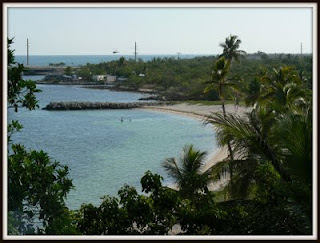 Calusa beach is the smallest beach, which is located to the Northwest side of the island and faces the Overseas Highway. This one is my family's personal favorite as it offers palm trees for shade, great swimming and snorkeling opportunities, and shallow water for the kids to play in. Calusa Beach also has picnic tables, a few pavilions and a bath house, where you can freshen up before you continue on your journey toward Key West or the Florida Mainland. Below you see Calusa Beach, as it is viewed from the top of the old Bahia Honda Bridge. 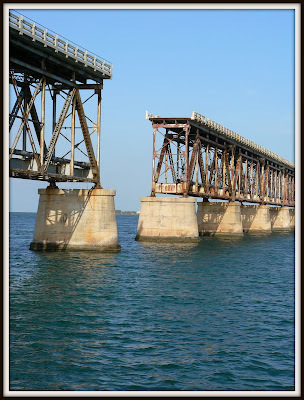 From both Calusa and Loggerhead beach you have easy access to trail that leads up to the old Bahia Honda Bridge, which was built by Henry Flagler in 1912. In September 1935 Flagler's dream of a railway to the Florida Keys ended, when a hurricane destroyed most of the newly constructed railway. Another beach in Bahia Honda State Park is Loggerhead Beach, which is located on the south side of the island. This beach is rather shallow, and when we have been there it has been crowded with seaweed. 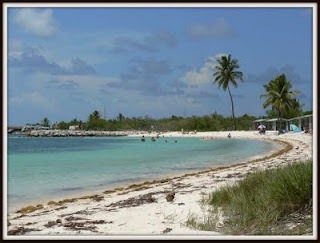 The largest beach in Bahia Honda State Park is Sandspur beach, which is located on the South East side of the island. The beach area is rather narrow, and the water is very shallow. Sandspur beach has three large pavilions and a bathhouse. The shallow waters at Bahia Honda State Park makes it perfect for snorkeling, and even if you do not bring your snorkeling equipment you can still experience the ocean life up close. At our first visit to Calusa Beach, my husband caught a beautiful fish with a bucket. It was very colorful, and my boys were sure that he had caught Nemo, so after studying and admiring it, we carefully let it back into its natural habitat. 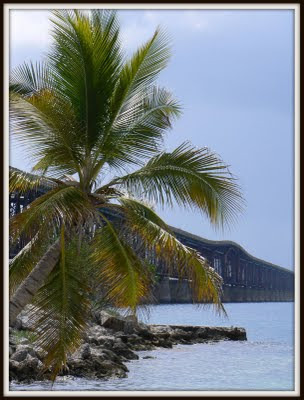 Bahia Honda State Park is a must-see for anyone traveling on the Overseas Highway. At $8 it is a cheap way to spend the day, and by bringing your own lunch and snacks a day at the one of the best Florida beaches. 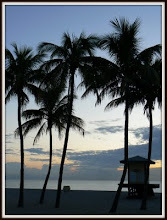 Bahia Honda can become a truly frugal way to spend the day in paradise. 8 a.m. til sundown all year round. 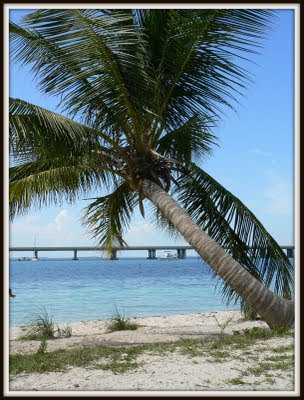 For more information about Bahia Honda State Park, go to the park's homepage.